You cat to be kitten me right meow! 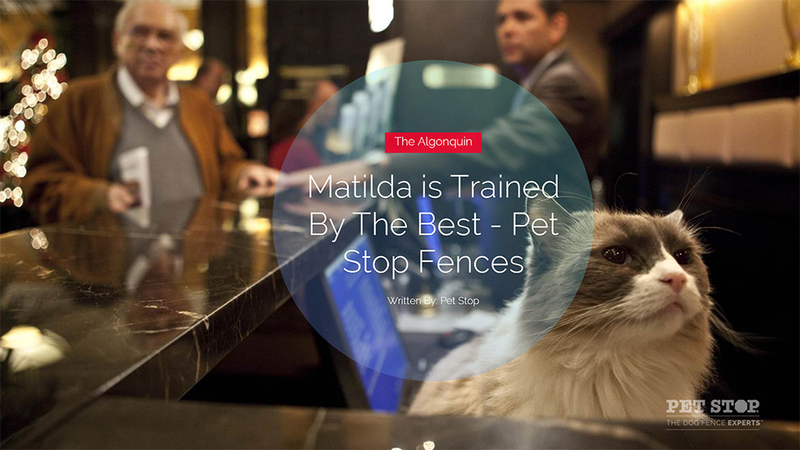 Learn the history of the Famous Algonquin Hotel cat tradition for the last 100 years! Named a historic landmark. The Algonquin Hotel is located at 59 West 44th Street in Midtown Manhattan in New York City. This beautiful hotel has 181 rooms and was founded in 1902. It’s first owner-manager was Frank Case and established many traditions in the hotel, perhaps it’s most famous being its hosting of the literary and theatrical notables. If you’ve ever heard of the Algonquin Round Table, this is it. In 1919, the site became an established spot for the daily meetings of a group of journalists, authors, publicists and actors to exchange bon mots over lunch in the main dining room. 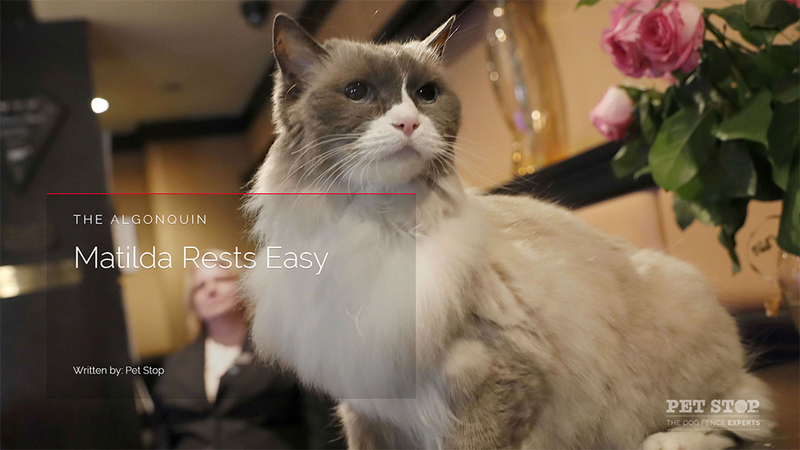 The Algonquin Hotel holds a deeply rooted tradition of keeping a cat that runs the hotel. It all started in the late 1920’s when Frank Case took in a stray male cat that was named Billy. They decided moving forward that the cat needed a more dignified name as it would be living in the prestigious hotel. They decided that any male cat would be named Hamlet, and any female cat they had living in the Hotel would be named Matilda. Go figure! All in all, the Algonquin hosted 11 resident cats since the 1920’s and this became one of the most well known traditions of the hotel over this time. For the last few years, the female cat living in the hotel was named Matilda. She was even named 2006 cat of the year at the Westchester New York Cat Show. Visitors love Matilda and often travel great distances to stay at the hotel just for a chance to meet her. She can usually be found lounging around or napping as her job is terribly exhausting! Looking nice, purring and getting groomed day in and day out can really wear you out! You may find Matilda in some of her favorite spots including her personal Chaise Lounge in the lobby as well as behind the computer, on the front desk or lounging in a random baggage cart. As you can see, she has quite the personality! Matilda even has an executive assistant that takes cares of her daily needs including grooming, petting and feeding. There was an extensive interview done outlining the personal experience of Matilda’s executive assistant or Chief Cat Officer by the name of Alice De Almeida. You can read more about her daily life and experience as Matilda’s executive assistant here. The beautiful Ragdoll (breed) cat Matilda who served as The Algonquins feline ambassador for 7 years died at the age of 11 at her home in Minnesota where she was spending her retirement in July of 2017. It was said that she died in a “lap of love” – she got to live out the last part of her years in a large, spacious house and could finally “be a normal cat” for once. While most of her life was spent living in luxury, Matilda enjoyed chef made crab cakes on a regular basis. Matilda even received gifts from guests such as hand painted portraits and Bonita Flakes from Japan. Matilda will be missed dearly. Shortly after Matilda’s passing, a new cat was introduced as the Mascot of the Algonquin hotel…and yep…you guessed the name correctly: Hamlet! 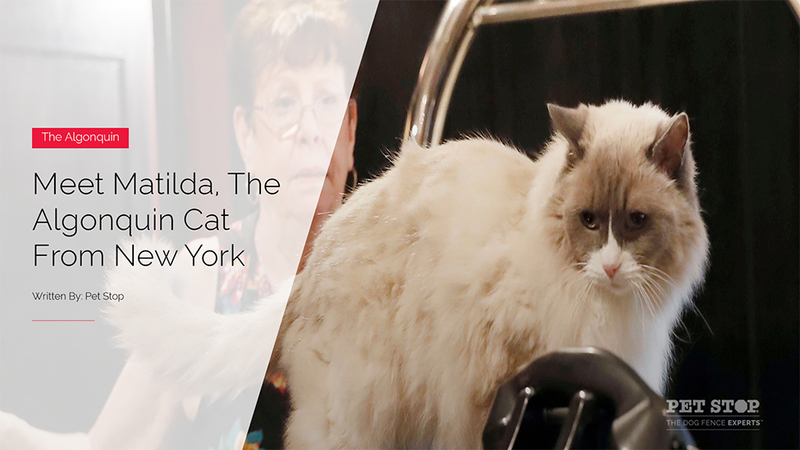 He’s the first male mascot that will be introduced to the public in over 40 years during the Hotel’s annual Cat Fashion Show. Hamlet was adopted by the staff from Bideawee animal rescue in Wantagh. They’re excited for the world to meet Hamlet. Although Matilda will always hold a special place in our hearts, Hamlet has a sweet and loving personality of his own that the staff is already in love with. In August 2017, The Algonquin hosted its Annual Celebration & Cat Fashion show. The show featured 8 fancy felines, each wearing unique one of a kind outfits by animal fashion designer Ada Nieves. In addition, there was a performance from cast members from the Broadway Show CATS. The tickets were $60 and 100% of the proceeds benefits Mayor’s Alliance for NYC’s Animals. They have an event like this ever year and the goal is to raise about $10,000 with the ultimate motive being to transform New York into a n-kill city through various initiatives. This year, Hamlet was the star of the show.